There are several natural herbs that are known as adaptogens which help our bodies deal with stress. These adaptogens spur our bodies on to adapt better when we are affected by the stresses of life. They increase our strength, energy and stamina although they are not stimulants. Let us explore some of these. Ashwagandha is a natural Indian herb that has shown incredible stress relieving capabilities especially when it is compared with some of the more dominant drugs that are commonly used in the treatment of conditions such as anxiety and depression. We are constantly affected by environmental toxins, poor nutrition and stress which have enormous damaging effects on our systems. Scientific Research has shown that ashwagandha not only has the ability to relieve stress, but it can also assist with the protection of our brain cells from the incredibly destructive effects of our current lifestyles. Oral treatment of this adaptogen for a period of five days showed a result that can be compared to some of the commonly used anti-depressant drugs. 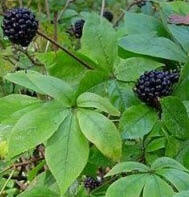 Eleuthero is more commonly known as Siberian ginseng. The constituents of this herb, known as eleutherosides play a critical role in the plants ability to support immune function. Eleuthero helps the body to adapt to stress by encouraging the adrenal glands to function normally. This herb allows them to function at their best when they are subjected to stress. 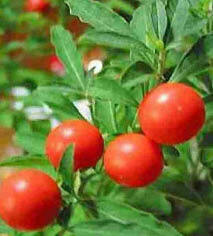 When muscles are exercised this herb will improve the use of oxygen which is needed for the exercising muscle. Exercise can be maintained for longer and the bodies’ recovery time is much quicker because of Eleuthero. It also combats harmful toxins which results in the reduction of stress on the body. This herb has shown to reduce the harmful effects of radiation exposure and there is evidence that it may support and enhance immune response. 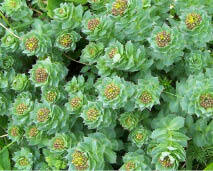 Rhodiola is a unique herbal remedy that thrives in Arctic areas of Asia and Europe. This herb has long been known to treat mental fatigue and boost energy. It is more commonly known as Rhodiola rosea. Scientists have confirmed that Rhodiola has multiple psychological and physiological benefits. This herb has demonstrated antidote abilities to our stressful lifestyles. Stress can have serious consequences on our physical and mental health. Implementing strategies that are effective in combating stress are essential to our health. This herb helps to balance the stress response system of the body, thereby relieving stress. Rhodiola acts as an adaptogen agent that is able to strengthen the response of your body to stress. The Chronic stresses of our incredibly busy and highly active lifestyles take a toll on our minds and bodies. Chronic nervous tension is associated with and known as one of the main factors that cause degenerative diseases and premature ageing. Effective strategies that are able to safely assist in the prevention and resistance of stress ravaging the nervous system are vitally important to all individuals. The world is showing no signs of slowing down and all individuals are able to increase their ability to respond to stress by making use of adaptogens. These adaptogens have vast potential in averting any type of condition that may be stress related.